Smilies Sewer Service – Septic System Maintenance and Repair – Smilie's for septic system maintenance and repair. Maintenance and emergency service for septic tanks, lift stations, holding tanks and effluent treatment site. We offer residential and commercial septic tank, holding tank, and repair maintenance services to the greater Twin Cities metro area and surrounding cities outside of the metro area. A clean system, operating at peak performance offers peace of mind to you, your family or business. Our promise to you is that we will deliver quality service, education on your system and cost-effective service and repairs. 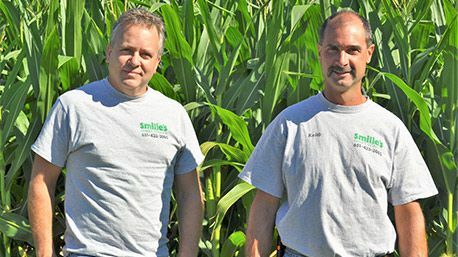 Smilie's Sewer Service is a septic system maintenance and repair company. We perform regular maintenance and emergency service for septic tanks, lift station tanks, holding tanks and the effluent treatment site. This also includes in-ground systems such as drain fields or pressure beds and mound systems. 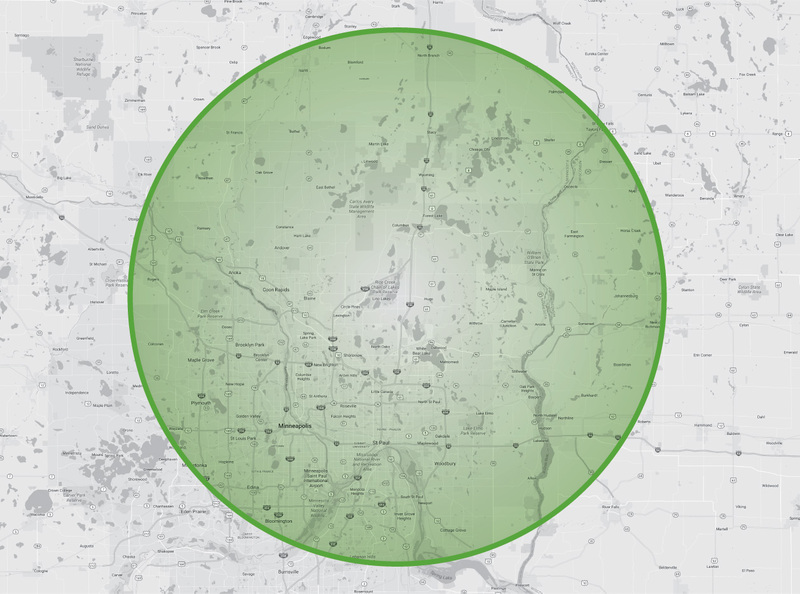 Smilie's Sewer Service provides service to the greater Twin Cities metro area, including cities just outside and north of the seven county metro area. Sometimes, your system needs more than just pumping to restore it to its proper operating state. We are able to diagnose the problem, explain the proper repair needed, and offer an estimate to complete the necessary repair. Owning your own onsite waste water treatment system requires a service provider that is pro-active and not just reactive when it comes to your family’s health and lifestyle. We make suggestions to the frequency of pumping and several other factors pertaining to the contents of the septic tank. Smilie’s prides itself on helping you protect your investment in your septic system. SERVICE AREA: The Smilie’s Sewer Service office is located in Scandia, MN just northeast of the Minneapolis-St. Paul metro area. Please check the map below or give us a call to find out if you are in our service area. "Dear Jim, thank you so very much for the great job you did. I am very thankful it was done so well. I see you dug out tree roots and did not charge. That was incredibly generous of you. We don’t see that very often anymore." "I just wanted to thank you guys for your tremendous service. You are so dependable and quick to respond. and always do an amazing job of cleaning up when you are done. You are a 5-star operation as far as I am concerned and you can post this on your web page!" "Thank you for continuing good service! (say Hello to (old) Tom - I hope he's doing fine." "Thank you so, so, so much for your prompt and impeccable services." "Many Thanks! I will recommend you to others." "Thanks, Shannon and Jim for the fast service! Have a great spring!" To begin, you ll be asked a question for which the computer believes you should have about a 50 50 chance of getting right. PD1-001 dumps I would honestly tell you that it s far better to study and know the material. M70-301 exam 0 in the first attempt is by doing a selective study with valid Cisco 200 105 braindumps. SSCP dumps A professional and experienced staff related to networking and information technology will prepare the exam for you. 70-465 exam dumps Certs4Sale also offers a well qualified and supportive customer service for customers who find anything difficult or error in Cisco 200 105 PDF exam dumps. e20-532 dumps I would honestly tell you that it s far better to study and know the material.